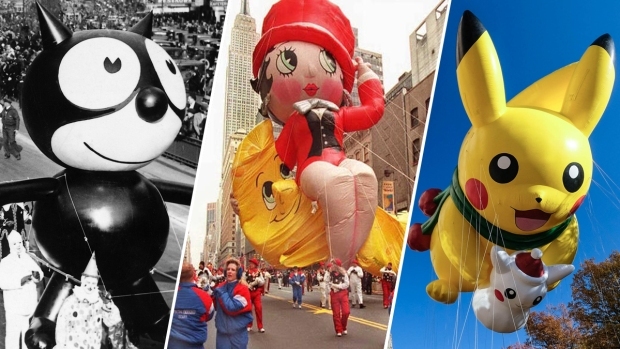 The Macy's Thanksgiving Day Parade is celebrating the big 90! Classics like Charlie Brown and Pillsbury Doughboy, the return of Diary of a Wimpy Kid's Greg, and a brand-new Trolls' balloon are just some stars of the show. Beat the crowds and don't miss any of the new floats and performances from these prime viewing spots along the parade route. 79th St. and Columbus Ave. - Bring the kids to get a sneak peak of the giant balloons on Wednesday, Thanksgiving Eve from 3 p.m. to 10 p.m before they parade through Manhattan Thursday morning. You can watch the balloons come to life around the American Museum of Natural History. 77th St. and Central Park West - Beat the crowds and kick off the party bright and early at 9 a.m. from this spot. You won't miss a single thing because this is the starting point for all the excitement. 59th - 75th St. - Spectators usually camp out starting at 6 a.m. to get a front row view of the cascading floats. Meet up with friends beforehand and travel together to avoid the bustling crowd. Columbus Circle - Watch the floats rock around the big circle onto Central Park South. This circular view is sure to give the tiny tots the best up-close view. 59th - 38th St. and 6th Ave. - These streets provide about 21 more blocks of viewing space and the prime position for late-comers. Make sure you pack snacks and plenty of water to avoid leaving and losing your viewing spot. Macy's Herald Square - The parade will make its final turn on Herald Square so there is limited to no public viewing space here but you can score 10 percent off a visitor's savings pass at the mezzanine level of Macy's Herald Square and arrange tickets to must-see attractions for after the parade.